Half way through this moss removal job, we just had to stop and take a picture of our demossing process. This roof came up beautifully. 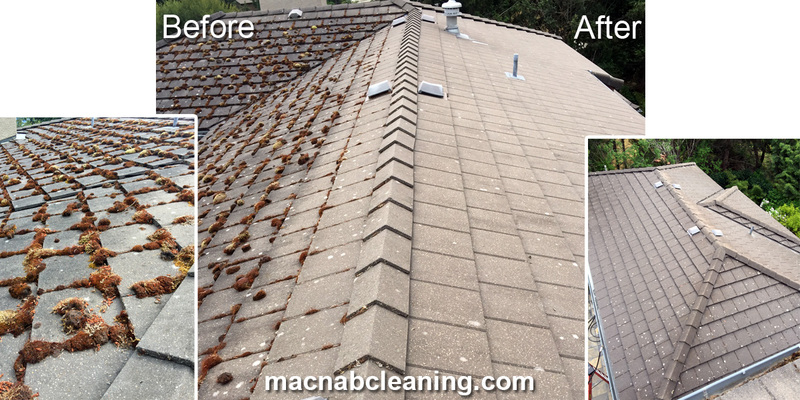 As well as the demoss and roof cleaning, the clients had us clean the rest of the property. Some of those tasks were: window washing (in and out), gutter cleaning (in and out), and pressure washing of all the exterior stone ways, driveways and even the furniture.